"Otherwise it will be difficult to negotiate." Russian President Vladimir Putin says Ukraine must release all separatists, even those who have been sentenced by courts, in exchange to the release of Ukrainian hostages held in "D/LNR". "The more comprehensive will be the exchange, the better. President Poroshenko has once expressed the idea of exchanging "all for all". But later it turned out that this formula hides some details that that are unacceptable for representatives of Donbas. 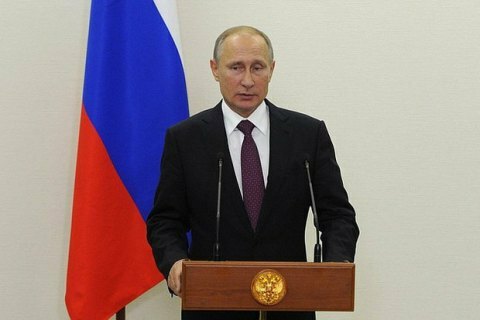 It is believed that all persons held in Donbass are considered illegally retained," Putin said an annual press conference on 23 December. "There is a significant number of persons in Ukraine whom Ukrainian authorities consider to be legally convicted and do not want them to be included in the exchange list. Here is where the problem is. For the "all for all" exchange, it is necessary to make a decision on their amnesty and release them all. Otherwise, the agreement will be hard to reach," Putin said. Currently, 109 Ukrainians are held in the captivity of separatists. "DNR" and "LNR" reject their exchange in the format of one separatists for one Ukrainian prisoner, demanding the release of about 600 people imprisoned in Ukraine on criminal charges.